Roundup Pro Biactive 450 is a foliar applied translocated herbicide developed using a new surfactant system known as Biactivator adjuvant technology. Roundup Pro Biactive has been developed for use on weeds in amenity vegetation, enclosed waters, hard surfaces, natural surfaces not intended to bear vegetation, land immediately adjacent to aquatic areas and open waters. 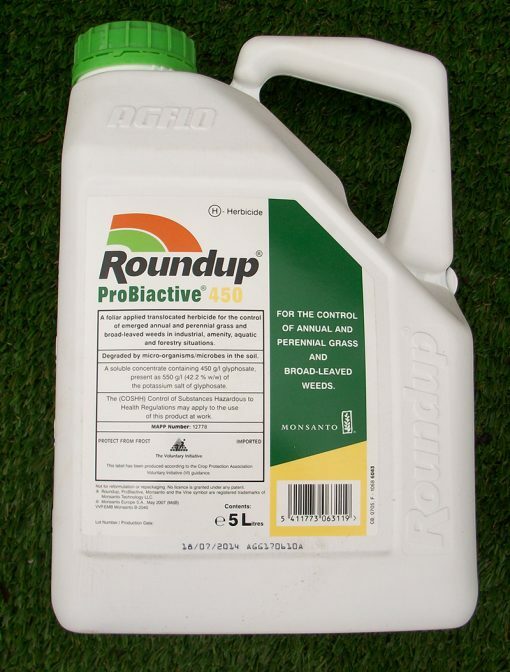 Glyphosate, the active ingredient in Roundup Pro Biactive, controls weeds by blocking the plant’s enzyme system. These enzymes, which are present in plants, do not occur in humans, animals, birds or fish. 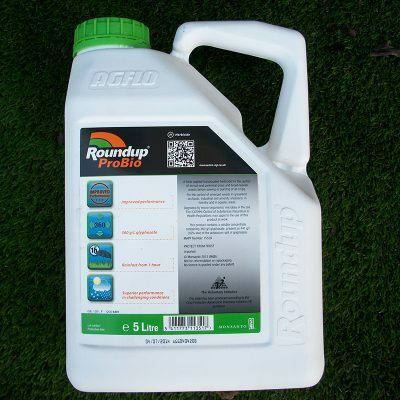 Hence, Roundup Pro Biactive is safe to everything except green plants. For any herbicide to function it must first break through the waxy surface of the leaf and enter the plant cells. This is achieved by developing a formulation containing an adjuvant or surfactant which breaks down the waxy cuticle. Differences in glyphosate formulations are brought about by the different surfactants they contain. Original Tallow Amine products have been superceded by Roundup Pro Biactive. Bosbigal Landscape Supplies are a family run business in Truro, Cornwall. We choose the best suppliers of quality products in the building & horticulture industry & pride ourselves in offering the best customer service & advice.